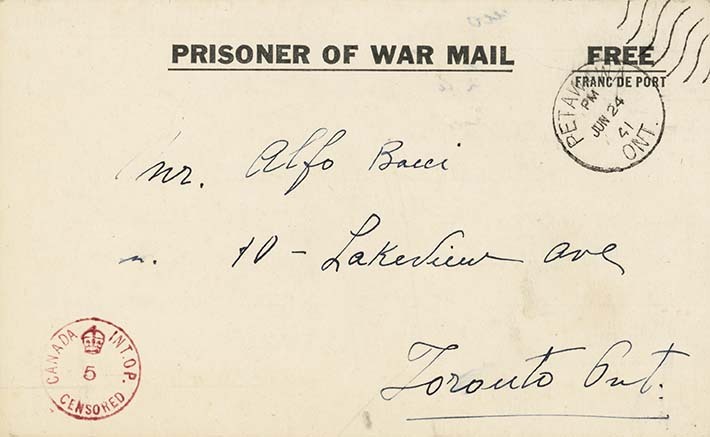 In this postcard to his youngest son Alfo, Bacci thanks him for the money and tickets they sent for Father's Day. It's unclear what the tickets pertain to, but Bacci notes that his sons should remember what he taught them and not listen to the talk of ignorant people. They are to live honestly and frugally. He asks them to look after their mother.